I constantly hear and read about other people’s love of fall. The clothing, the temperatures, the layers, the apple picking, the pumpkin everything. Little known fact: I'm averse to all things not summer. I mostly spend the colder months speed-walking from door to door to avoid harsh winds or gross drizzle, wondering why I wore flats (that are now ruined) instead of snow boots, and wrapped up in blankets inside like a bear in hibernation because it’s dark out well before dinner time. I want to be the person who loves carving pumpkins and jumping in leaves and wearing cute, basic layers as I explore outside, but the reality is that I think I just maybe don’t. I love summer and its warmth, its easy, approachable style, its long hours of daylight, its dining al fresco, its chirping birds, its fly-by-the-seat-of-your-pants mentality, its nowhere-to-be vibe. And I mourn its end until about April when signs of spring start to melt my evidently icy soul. Thank god for fall and winter comfort foods, which remain my favorite part (or the only part that I don’t resent) about the colder months. I’m being a little hyperbolic, but mostly honest. But a recent Aha! moment informed me that my aversion to fall might be a result of always being cold, and almost always inappropriately dressed—not in the sense that I don body-con dresses and stilettos in November (lol), but in the sense that I think my aversion to the cold is reflected in my weak cool weather wardrobe. I think it’s always lacked in breadth and depth compared to my summer stuff because I’m never really drawn to basic fall styles. Given that I live in a region where warm weather lasts for approximately three months, my summer-forward closet is sorely illfitted for my lifestyle. This year, I’m going to attempt to change that to be a better life sport. Part of the capsule mindset is actually owning clothes that make sense for your lifestyle so that they’re reliable and appropriate. I’m hoping it will make a difference in my mindset about saying goodbye to summer and actually embracing cooler weather activities. And while I don’t strictly follow a capsule, I still like to let the capsule philosophy guide my shopping. So for the first time, I’ve dedicated some serious thought to how I would like to dress in the fall to stay warm and still feel good about the way I look, and I’ve done some research and compiled a wish list to guide my shopping. 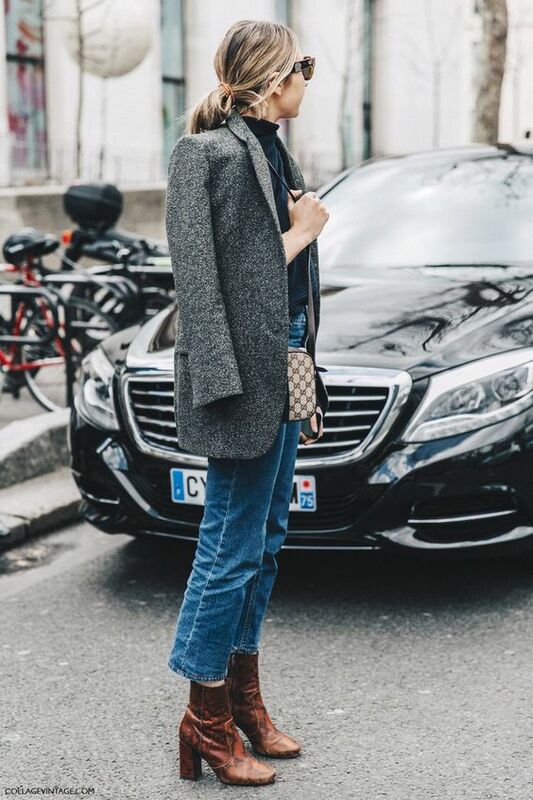 I prefer fall boots that have a heel but aren't overtly dressy (or can at least be dressed down), and that will actually wear well with most of the pants, jeans, and dresses that I own. I’ve (too many times) fallen into the trap of boots that hit at a funny spot or are unflattering unless worn with one specific pair of jeans. I am determined to be very, very picky about the boots I buy this season, and I'm eyeing some sock-like heeled chelsea boots for their versatility with all sorts of pants. Secondly, I'm in the market for more closed-toe flat shoes that are warm and durable and can ideally be worn with some sort of sock (even if just no-show peds). And sneakers that fit the bill would be a bonus. I know what colors and fabrics I’m drawn to in the summer (white, yellow, blush, linen, cotton, etc. ), and I’m going to keep this in mind for fall shopping so that I’m buying what I know I really love, not just the gray and black sweaters and pants that other people might love. I'm also really feeling a new-to-me crimson shade this season. I need to rewire my thinking that jackets are coats, of which you need one warm one for the season. In Upstate New York, jackets are a part of everyday living if you’re outside even for a minute, and therefore, I think I should approach them as part of my outfit if I’m determined not to just hole up all season long. I’m keeping this in mind as I peruse for interesting jackets that can be seen as a finishing layer. I would like to find one sort of sweater that takes the place of a blouse in the sense that it can be worn on its own and dressed up or down. I love the ease of this kind of piece—it speaks my "summer language" in not requiring much thought. Secondly, I'd like one that can be layered with (either under or over) but that doesn’t feel like a basic cardigan. And in both cases, I want to think outside the box and remember that just like I prefer interesting hemlines and cuts in the summer, I will love sweaters that are designed in the same vein. As I mentioned here, I want to think about wearing more long dresses and skirts this fall. 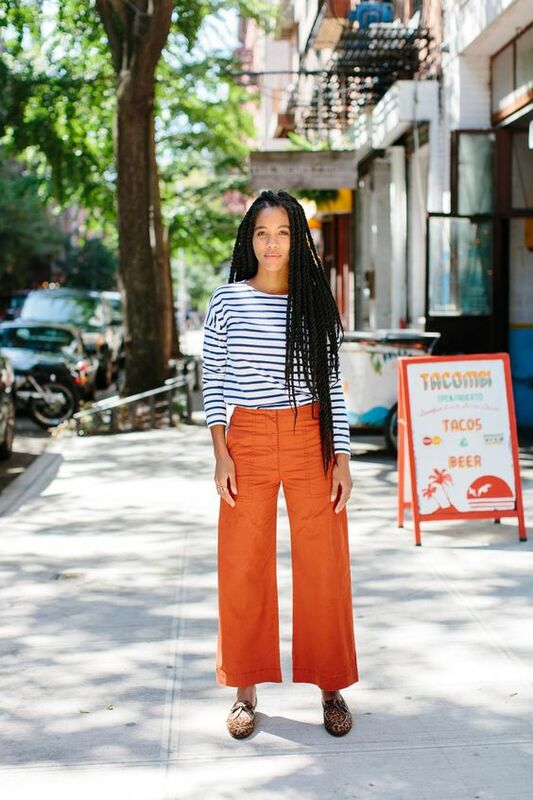 I think it’s another small way to bring what I love about summer style into fall. 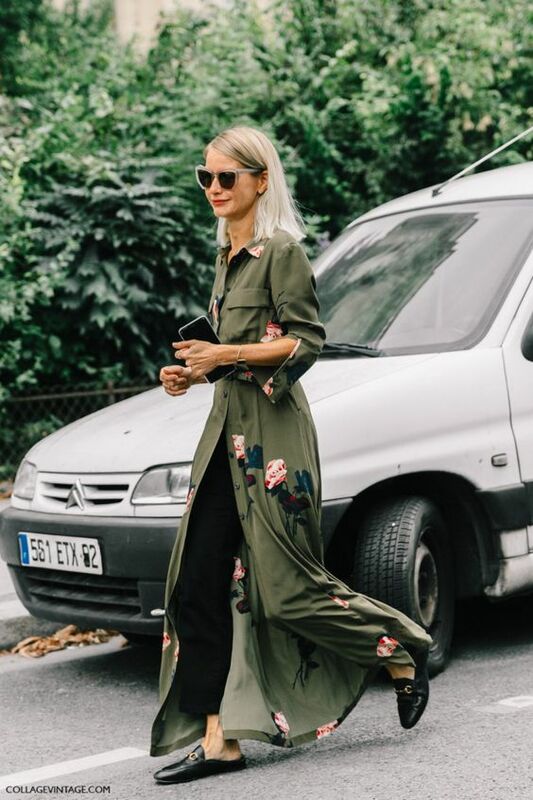 I’m particularly loving the idea of flowy maxi dresses (even with pants underneath) with a flattering hemline for showing off footwear, as well as tighter midi shapes with jackets and cozy sweaters on top. Different from blouses, I mean long sleeve shirts that take the place of t shirts or tanks in the summer. I feel like I rarely like the way they fit on me, so I mostly avoid them, but I feel their absence big time in my closet for effortless, casual days in which I still want to feel put together. Therefore, I want to find flattering, comfortable long sleeve shirts that can be dressed up or down.